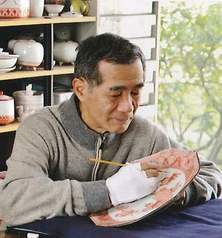 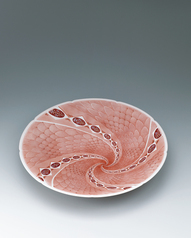 In my style, on Kutani ware hakuji (white porcelain) I use red pigment (main ingredient: red oxide) and gold to apply overglaze enamel painting; by repeating firing several times, I create finely detailed akae (red painting). 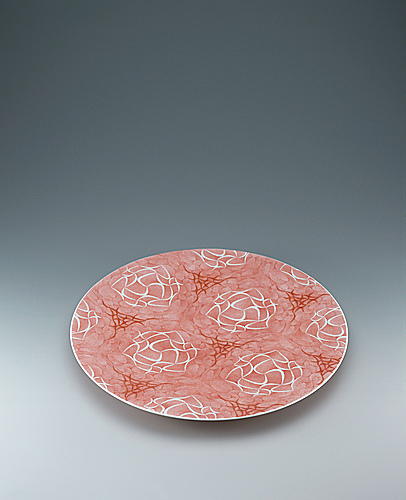 Kutani dish with net pattern in overglaze red painting. 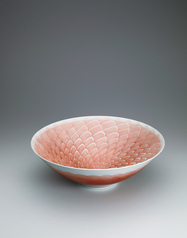 Kutani bowl with net design in overglaze red enamel. 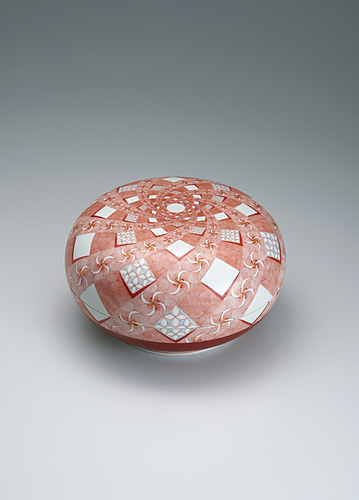 Large Kutani flower-shaped bowl with flower and butterfly design in overglaze red enamel decoration.